EXAI and YellowPages.rs have signed a strategic agreement in which YellowPages.rs will create websites for their clients using EXAI Corporate Site Builder, EXAI’s artificial intelligence site builder. YellowPages.rs is the largest yellow pages company in Serbia & Montenegro with over 200,000 clients to whom they provide online business cards and promotion videos. With EXAI Builder, YellowPages.rs will be able to offer its SMB (Small and Medium Business) clients custom-made websites while expending a minimum amount of effort and resources. 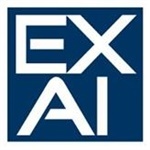 EXAI’s technology uses artificial intelligence algorithms to turn data from various repositories into custom-made websites in a mass-production environment. The AI (Artificial Intelligence) platform will allow YellowPages.rs to automatically generate personalized sites without the need for any previous designing or programming experience. Following the signing of this agreement, EXAI will provide YellowPages.rs with a complete white label platform suited to their needs. YellowPages.rs believes this will allow them to increase their market value in Serbia and Montenegro. EXAI estimates revenues from this deal at $1,500,000 over the next four years.